The TCM Meridian theory together with Acupuncture is a recognized therapeutic modality approved by the World Health Organization (W.H.O.) which has proven efficacy in the treatment of a variety of ailments. ssage, cupping and scrapping help to improve, strengthening, or propelling “Qi” or energy to different part of the body systems improving illnesses recovery time, energy levels, and immune functions, and restoring the balance to our body. Such therapeutic effects can be enhanced through the understanding of the meridian theory and knowledge in diagnose and executing the appropriate techniques along the meridian pathway. The course “Meridian Knowledge and Skills for Healthcare Practitioners” is targeted at those who are actively promoting healthy life-style activities, such as Yoga Instructors, Qigong trainers or homecare givers. It was designed to provide a comprehensive understanding of the TCM meridian theory, with hands-on skills and techniques for individuals engaged in this healthy lifestyle activity. 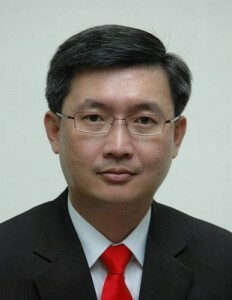 · Former Vice Principal of Singapore College of TCM.